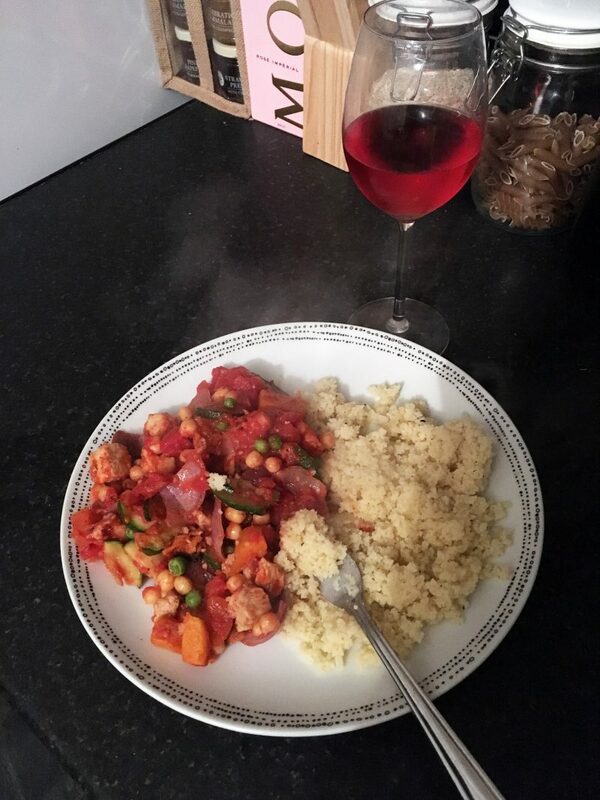 I absolutely adore cooking, and spend many lost hours watching YouTube tutorials and quick 15 second Instagram videos showcasing recipes. From those super easy healthy bowls to difficult, highly skilled desserts, I’m fascinated with all the methods, creations and final results. 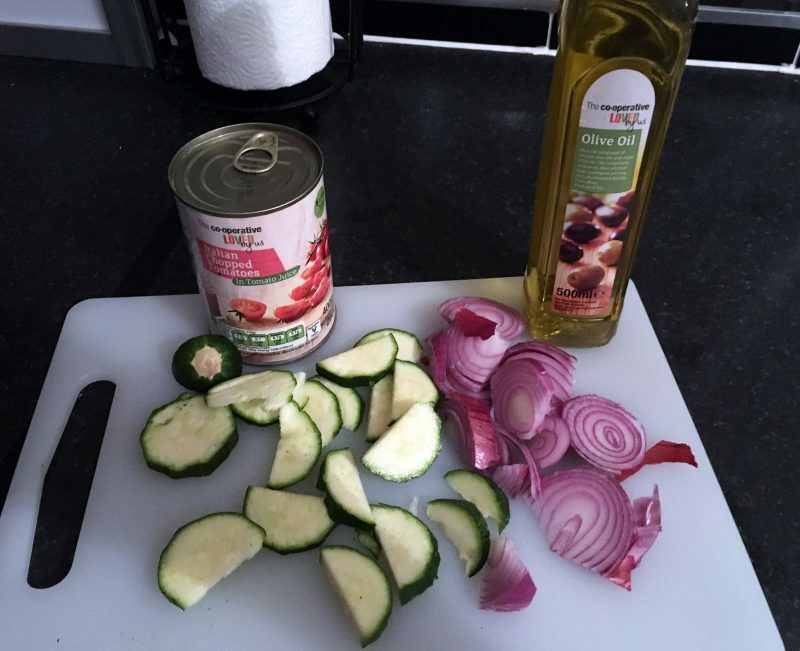 I’m also really big on two other aspects to cooking: nutrition and saving money. 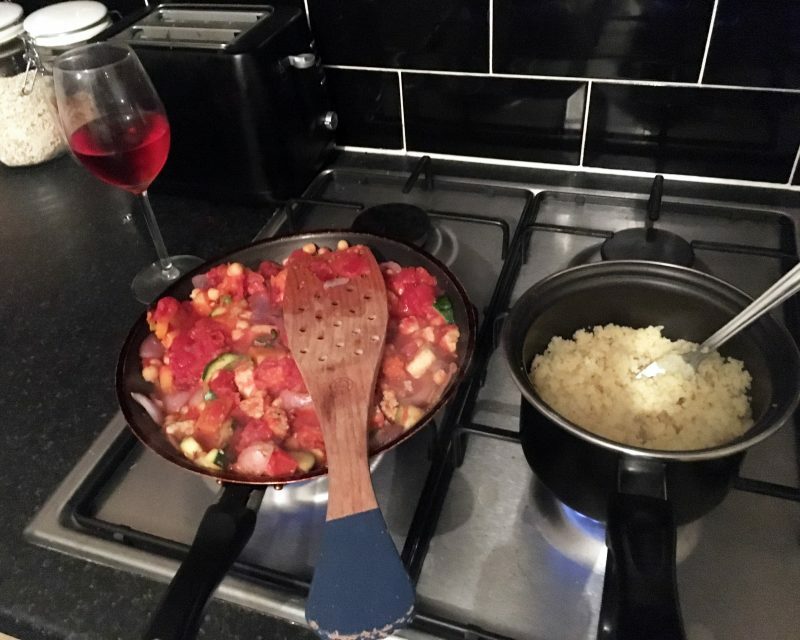 So I’ll often browse ways to make large, hearty meals which can be made with low priced ingredients, with portions to be saved for leftover meals. And of course, meals that pack in that high nutritional value! 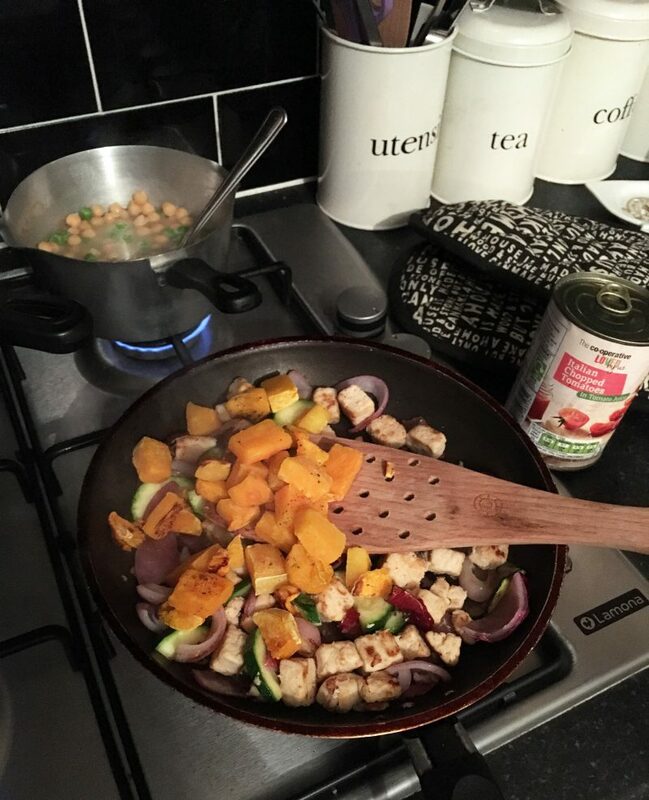 The other week, Co-op introduced me to #NowCookIt, a dedicated site for all things related to how to cook, what to cook, and the best techniques. Through video, the site offers a free course which shows new and experienced cooks mastering the essential skills of cooking. 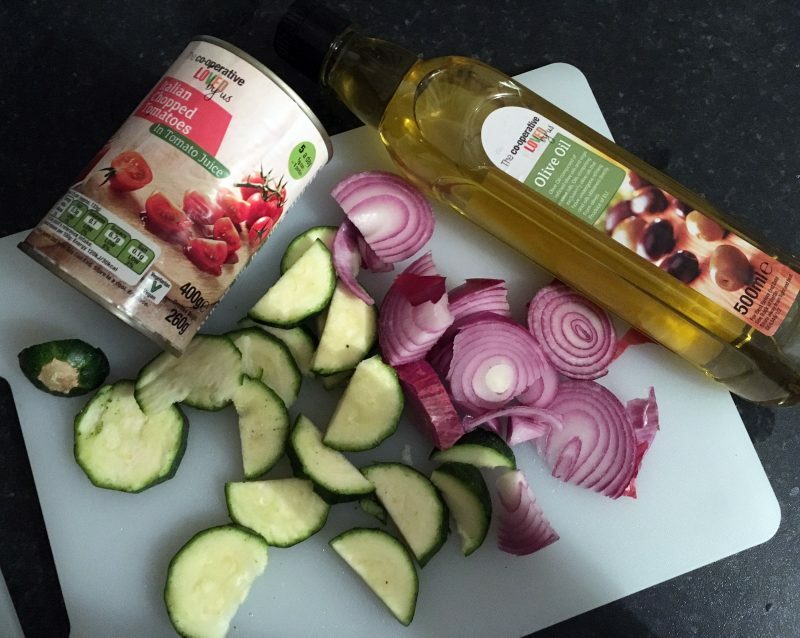 The site includes a range of recipes that use various methods, so you can try out new skills and get cooking right away. I was then invited down to spend the day at YouTube with Co-op and the guys from SORTEDFood – who are in collaboration with Now Cook It, to talk to all them team about why they have joined in this collaboration, and feel so strongly about offering this great cooking service. Sadly, due to horrendous work commitments, I was unable to get the day off to go down, but from what I saw, the whole event was fantastic, with so much cooking inspiration! 1. Place frozen butternut squash onto a baking tray, and cook in the oven at 180 for 25 minutes. 2. 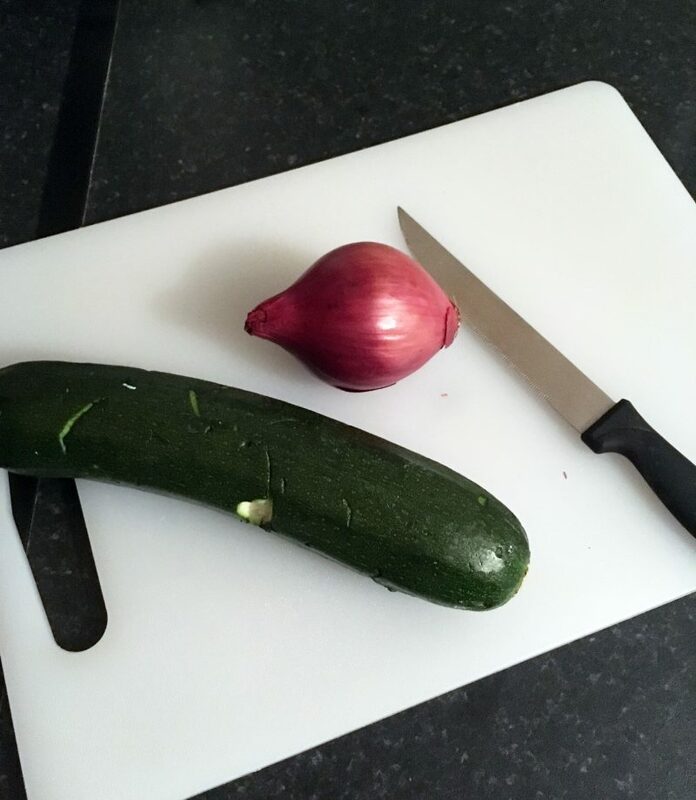 Chop the courgette, red onion and garlic clove into fine slices. 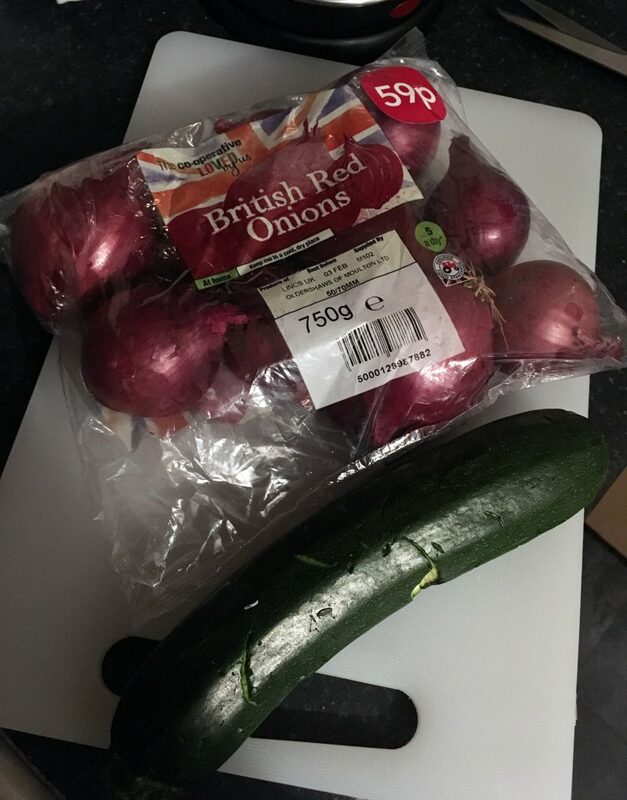 Heat a little olive oil in a hot pan, and throw in the quorn chicken pieces (1/2 cup-1 cup), courgette, red onion and garlic. 3. 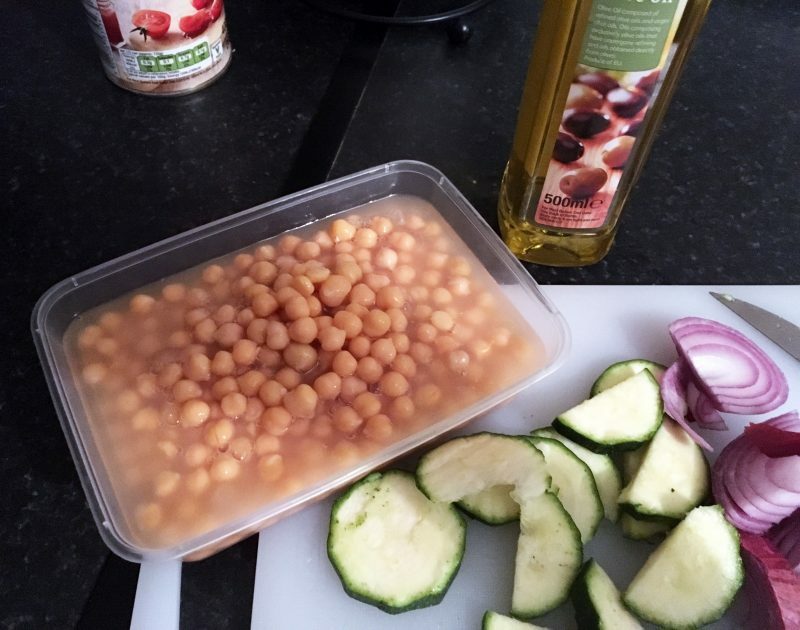 In a separate pan, empty a tin of chickpeas into a pan with the brine liquid it tends to sit in, and lightly boil. Once boiled, turn the heat down and just remain lightly heated. 4. 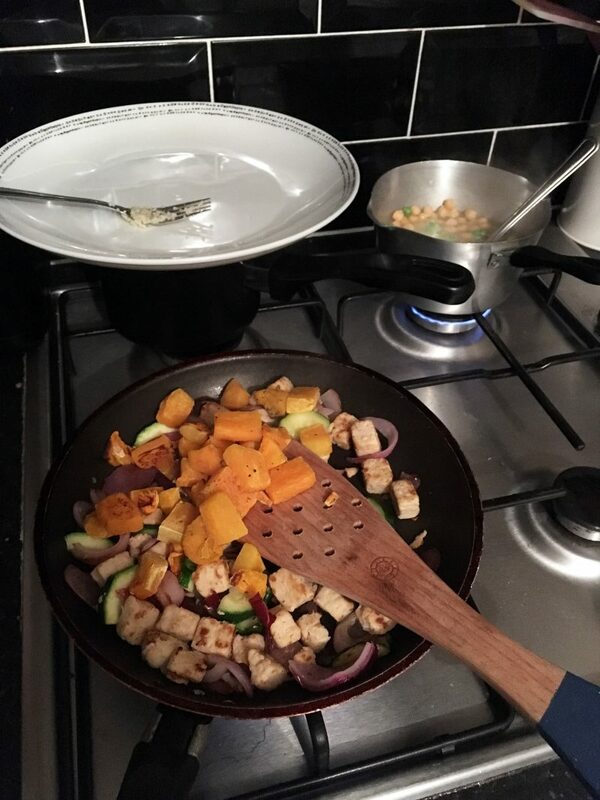 Once the chicken is cooked (around 15 minutes for frozen quorn) and veggies are lightly browned, throw in chunks of butternut squash. Then drain the pan of chickpeas, sprinkle in the garam masala and paprika, and stir so that all food is covered and cooked throughout. 5. Pour in a tip of chopped tomatoes. Turn to the boil, then turn the heat down and simmer for 10 minutes. 6. 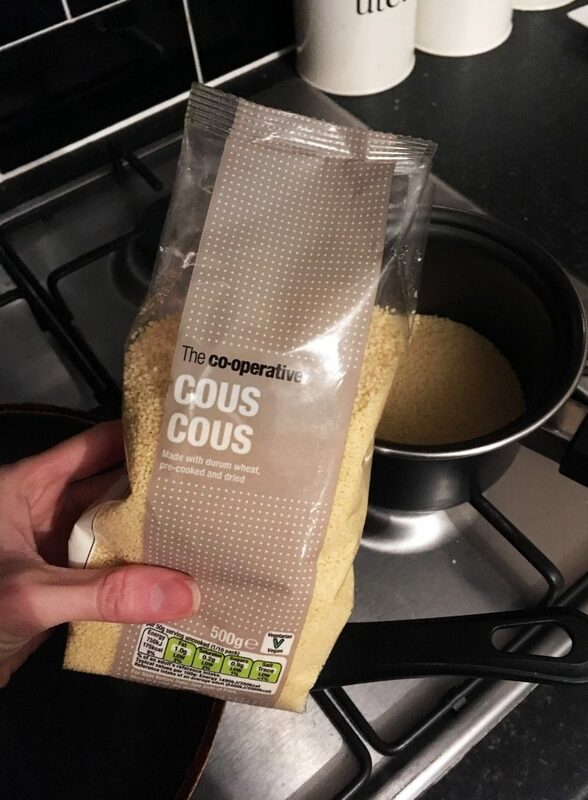 In the meantime, fill a pan with the cous cous, and pour in enough boiling water so that it covers the cous cous and gives about a centimeter extra space above, so the cous cous can adsorb extra water. Let it reach the boil, then reduce the heat and simmer for 2-3 minutes. 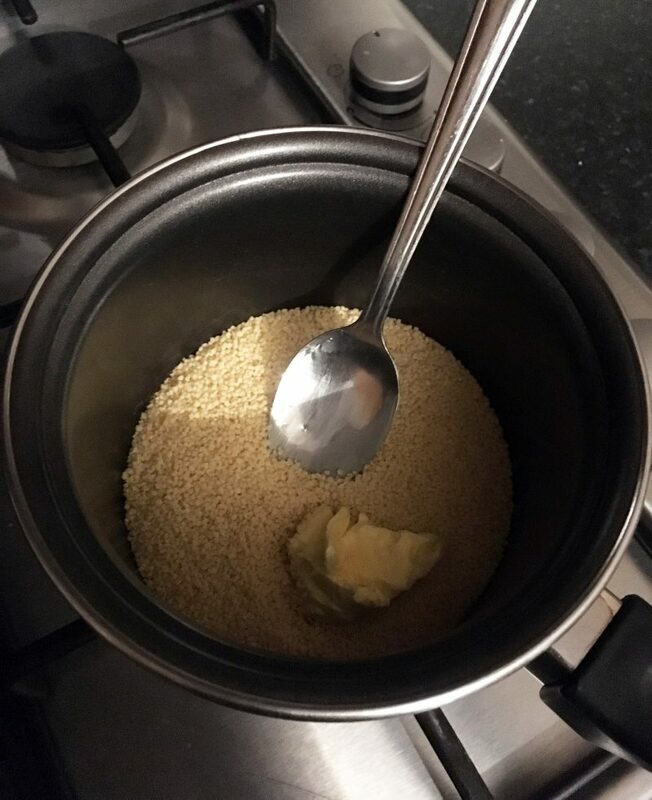 Take the pan off the heat and cover for 5 minutes/ Then return the pan to the heat, and stir through a chunk of butter with a fork and fluff up the cous cous. Add salt and pepper at this stage as desired. 7. 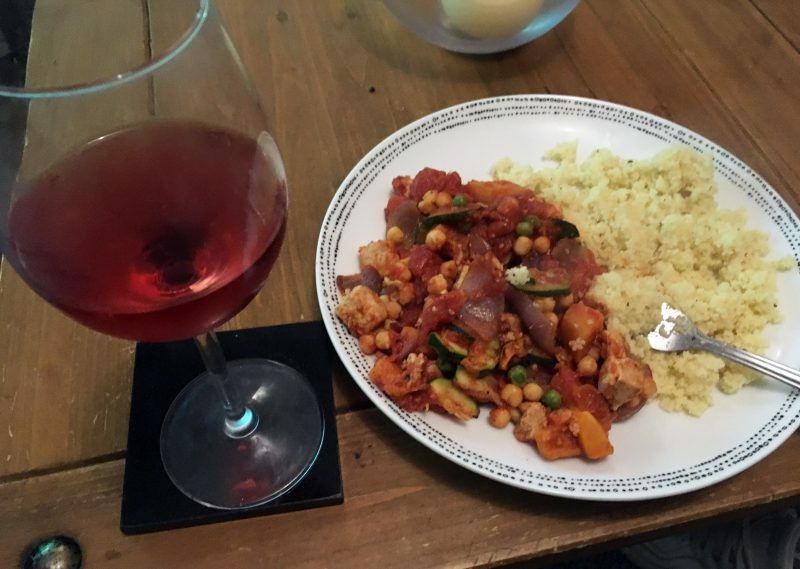 Pour the chicken curry mix onto a plate and serve the cous cous as a side. 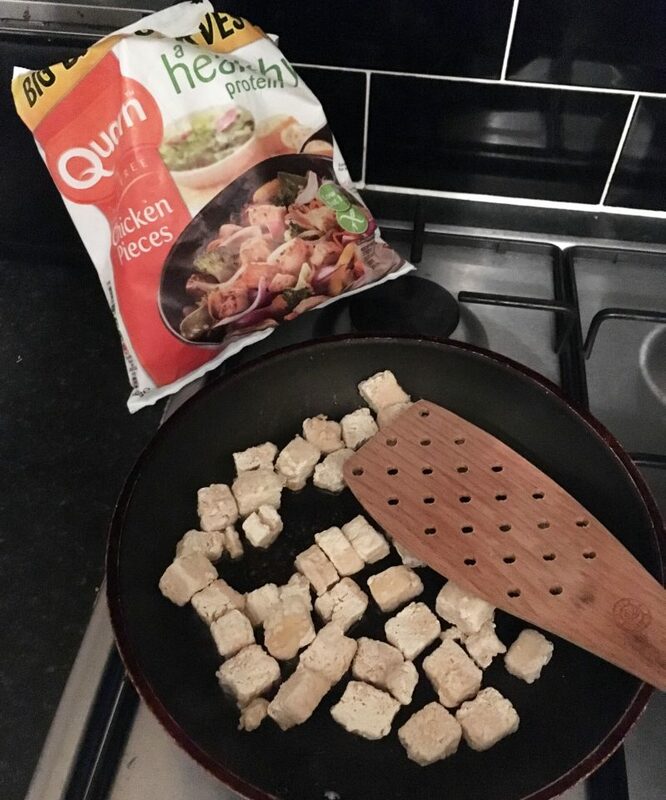 You can find out more about similar recipes and #NowCookIt here.